Extremely simple trick that you can throw in between your big tricks, this one is a great trick to get started with, especially if you have lost some cards out of your deck. The trick involves having two same suit cards and holding them together so the audience think there is just one card. Once you flick the cards you then appear to have magically changed one card into another, as can be expected it is all in the sleight of hand. 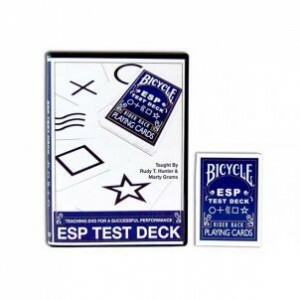 Welcome to EXTRASENSORY PERCEPTION using the ESP Test Deck. The instructional DVD with teach you the most amazing ESP effects and routines. Accomplished Mentalist, Rudy T. Hunter, along with Marty Grams will teach you step-by-step everything you need to know about using the ESP Test Deck. 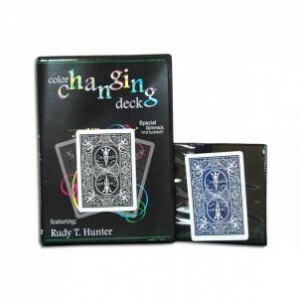 This deck will enable you to perform metalism, parapsychology and even magic tricks! This trick is nearly too simple to share, but practicing this trick will enable you to master the art of holding two cards when your audience things you are holding just one card. The skills you need to perform this trick are extremely simple, most of the trick is making it look more difficult than it actually is. Are you New to Magic? The Color Changing Deck is a stunning effect that even fools magicians! Rudy T. Hunter will teach you this routine, and more, giving you a complete act. 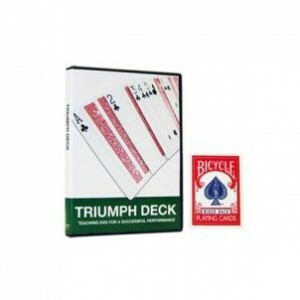 Special gimmicked bicycle back card and wallet included! The Routine – A fast and easy routine that will leave your spectators amazed! Chicago Opener – One of the best card tricks in card magic. Make one card back out of the whole deck change color while still staying the same on the front. Mine – Take the Chicago Opener to the next level and really astonish your spectators by finding their card with a special message written on it. Mental Prediction – This trick will give your spectator the psychic ability to pick the only different backed card in the whole deck. Imaginary Card in Wallet – Your spectator signs a card and it magically changes color on the back. The trick of the Jumping Jacks. This trick requires a slight level of skill in card holding and manipulation, it is not a WOW trick but it is good enough to start to convince your friends you have what it takes to fool them. The idea is to take out the four Jacks first, also select a random card, now put the four Jacks on the top of the deck with your random card on top, by doing this you are preparing the deck for your trick. Now you lay the top four cards (1 random card and 3 Jacks) out on your cloth face down, revealing a couple of the cards to show people they are the Jacks. This is the effect that NO MAGICIAN IS WITHOUT. Watch the demo and enjoy the magic! Printed in Bicycle Stock! Included you will receive an instructional DVD and you’ll learn the entire performance and method from Simon Lovell and a whole lot more! Your kit comes complete with extra cards for yet more routines all of which are taught in full detail.